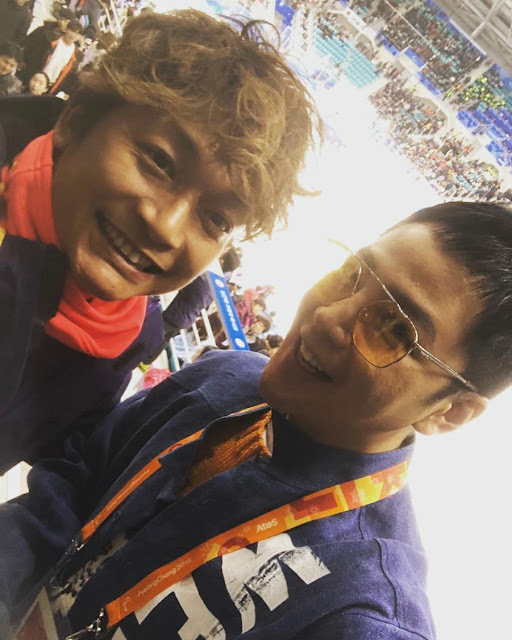 While watching the Ice Hockey game, JKS walked over to greet a Japanese friend, Shingo Katori, who is a former member of the rock group, SMAP. 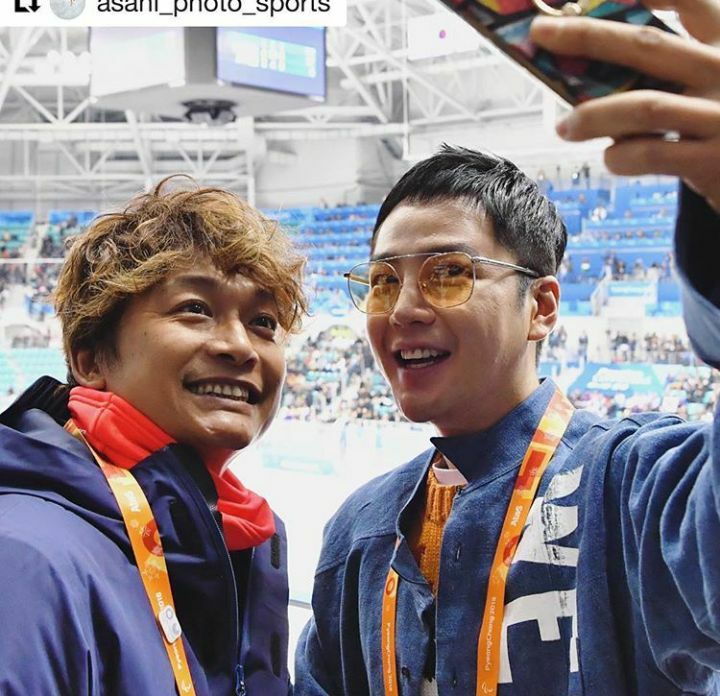 The two of them talked a bit and took pictures together as did a Japanese publication. 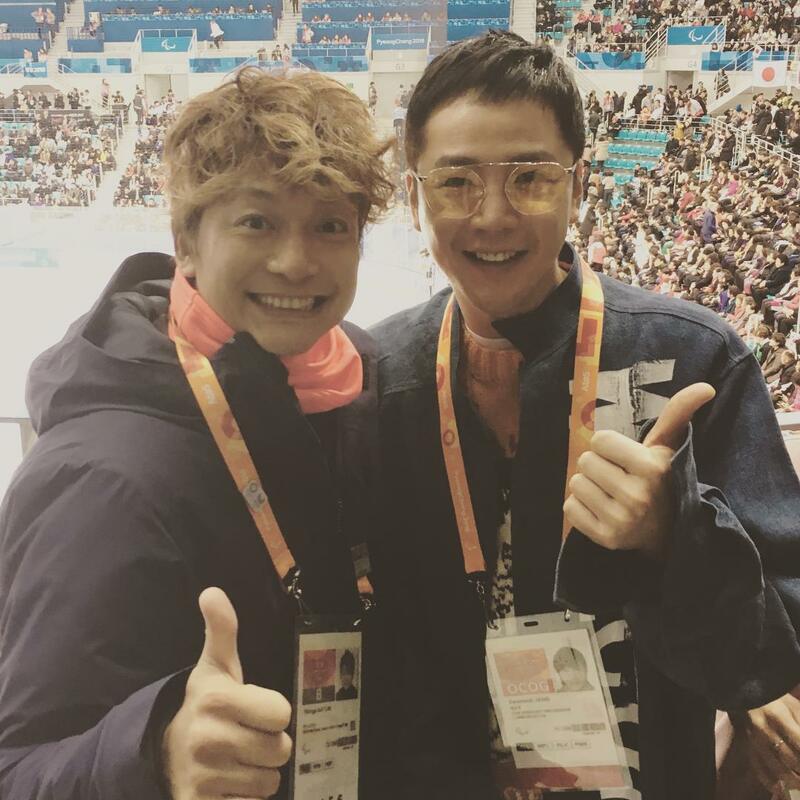 Some lucky Eels caught the two of them on video. See below. 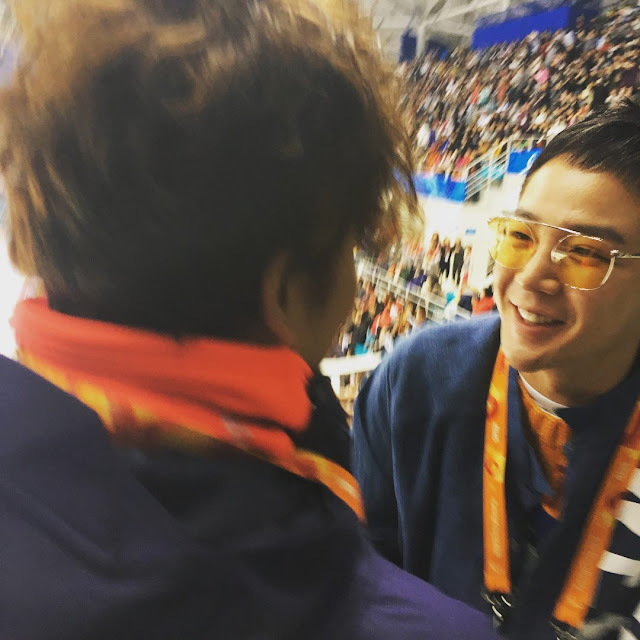 English translation (trans cr: Marchneko): Jang Keun Suk, honorary ambassador for PyeongChang Paralympics came to see me! It is so nice to meet you here again. Please do your best as promotional ambassador -! 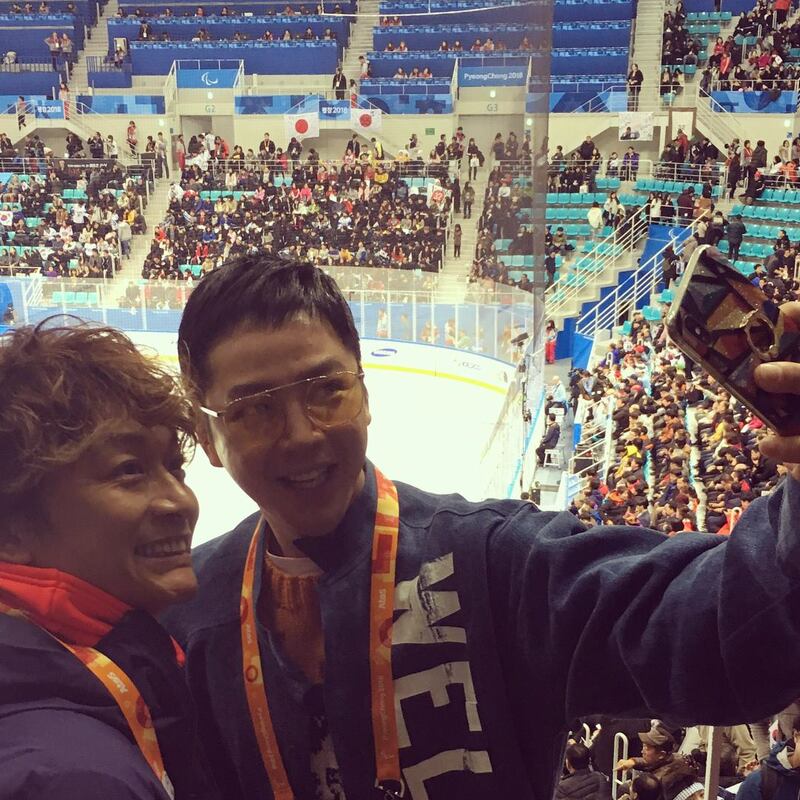 I will work hard to convey this excitement at the PyeongChang Paralympics to Japan!